Positioned on a busy independent shopping street in the heart of Jesmond, Williamson Brown features an exclusive and inspired range of quality fine jewellery. 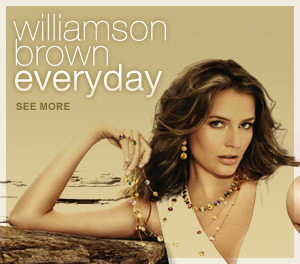 We showcase a wide range of leading British and European designers, along side our very own Williamson Brown collection . Our love of jewellery is evident in our selection, choose from a stunning collection of necklaces, bracelets, earrings and rings to suit your mood or look . Regarded by many as one of the best bespoke jewellers in the North East, our team of experienced designers are here to design and create the perfect piece especially for you. We also offer a makeover service, where customers can have diamonds and gemstones from existing jewellery , remodelled. We have our own workshop on site. We are proud to announce that we are the North of England stockist for Italian Brand -Marco Bicego and from December 2018 -Anna Maria Camilli Firenze . Please note-we are currently updating our website.